Elephant playing with ball. 925 Sterling silver with enamel from Italy. SKU: ST77. 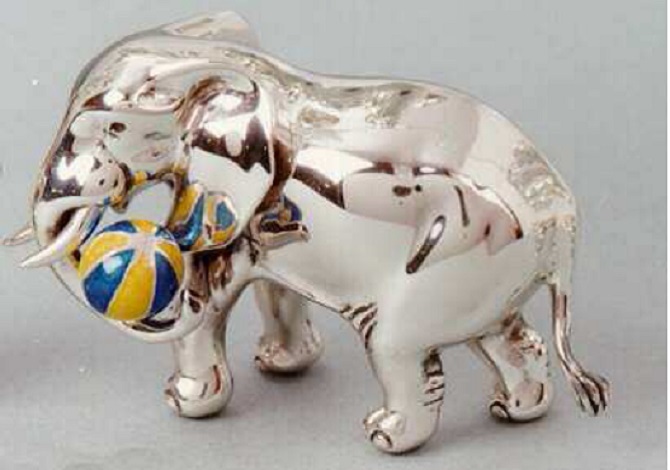 Category: Silver Animals. Silver Frogs in 3 sizes. 925 Sterling silver with enamel from Italy.